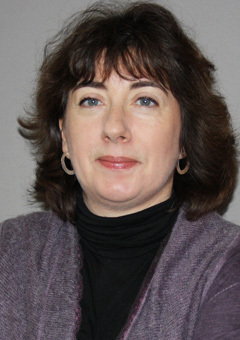 Laure Delcour is Associate Research Fellow at IRIS. Her research interests focus on EU policies in the post-Soviet area, the EU-Russia partnership and on the European Neighbourhood Policy. She currently coordinates, with Dr. Kataryna Wolczuk, a research project (http://euimpacteast.org) to assess the EU’s impact in the Eastern Partnership countries (Agence Nationale de la Recherche/Economic and Social Research Council). Since 2003, she has carried out a number of studies and assignments for the European Commission, the European Parliament and the French Ministries of Foreign Affairs and Defence. She coordinates for IRIS a framework contract to provide the European Parliament with expertise on foreign policy subjects (European Neighbourhood Policy, Russia, enlargement). Laure Delcour holds a B.A. in history (Paris IV-Sorbonne), a M.A. and a PhD in political science (Sciences-Po Paris). She joined the French School of Administration’s Directorate of European Affairs in 2009. Laure Delcour lectures at the College of Europe (Bruges, EU International Relations Department) and at the Institute of Political Studies (Strasbourg) on the ENP and the Eastern Partnership. She previously lectured on EU institutions and decision-making system, on the European Neighbourhood Policy and on Russia’s foreign policy (Sciences-Po Paris, 2001-2009). She is a previous Deputy Director of the French-Russian Centre in Social Sciences, Moscow (French Ministry of Foreign Affairs, 2002-2003).